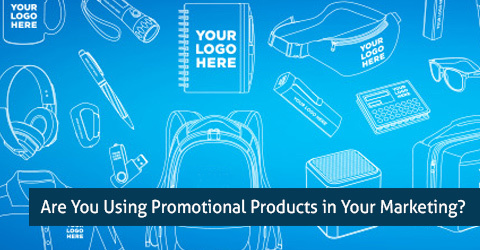 Are You Using Promotional Products in Your Marketing? It’s a fact: People love free stuff. There’s something exciting about not having to spend your own dollars to receive something. That’s why promotional products can bring a ton of value when marketing your tutoring business. Plus with the holiday season upon us, saying thanks to your existing customers with a small gift can go a long way for repeat business and word of mouth advertising. From a consumer standpoint, eighty-three percent of people like receiving promotional products with an advertising message, and 48% would actually like to receive promo items more often, according to a study from PPAI (Promotional Products Association International). It’s a super-smart business move to hand them out. Promotional products allow you to place your company name and logo right into your customers’ hands. It’s pretty hard to forget a business when you’re reminded of it constantly. No better way to share your student’s progress than hanging on their refrigerator with a magnet that has your contact information on it. Plus, promotional products are fun. ePromos has helped thousands of companies and organizations develop successful marketing promotions that are engaging, creative and memorable. If it’s been awhile since you last used promotional products or you’re new to the tutoring business, allow us to share some of ePromos’ tips. By giving your customers promotional products imprinted with your logo, you’re gaining huge exposure to your tutoring business. With the holiday season upon us, there’s no better time to hand out a holiday gift. Don’t dream up the products or worry about the budget yet. Your first step is to define your promotional goals. Without specific goals in place, it’s tough to gauge the campaign’s effectiveness. Take a look at your tutoring business and jot down your marketing objectives. Make them clear and quantifiable when possible. Yes, I know some goals are difficult to quantify (“I want to be the community’s go-to tutoring resource”), but include some that have measurable results, such as increasing sales. Here comes the fun part—actually selecting the items that will feature your company’s name and logo. ePromos offers 15,000+ products, and if you don’t see it on our site, we can find it for you. So, really, the sky’s the limit. You must first determine a budget for each of your goals. Then consider your audience: Who and how many people would you like to reach? This will give you an overall picture of what promotional items will be a good fit for your campaign. Now it’s time to imprint your promotional products so they reflect two things: your brand and your goal. Your branding should be clear and consistent. You also want your promo item to feature a call to action that promotes your goal. The imprint should be attractive to your target audience—you want the graphics to resonate with recipients and inspire them to take a specific action. And always remember: The perfect promotional product will relate the marketing content to the product itself, creating a seamless promotion instead of simply a product with a message printed on it. So let’s hear it: Are you using promotional products to market your tutoring business? Want something from us for free? Take a few minutes to sign up for a free demo of the leading tutoring management platform. You focus on promoting your business, and we’ll help you stay organized!